Walmart is the largest company in the world and the single largest employer, with 2.3 million workers serving 200 million customers every week. So it’s a big deal when they roll a blockchain initiative into production, especially one designed to offer a new solution to what may be the ultimate challenge: sharing data between different companies. In the 1980s a typical grocery store had just 15,000 food items — but today it’s over 50,000. 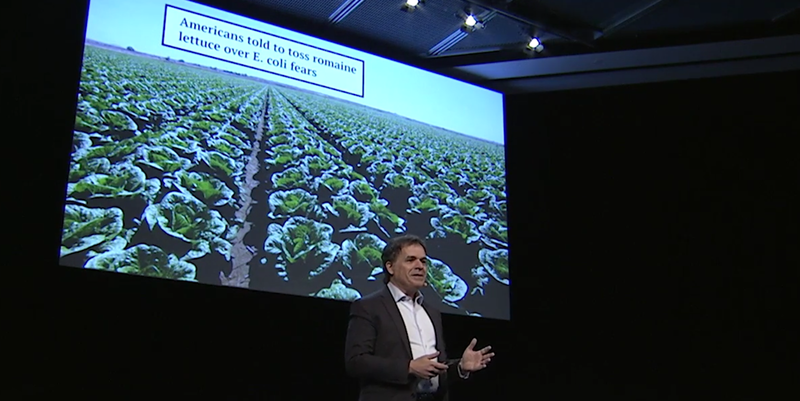 In an IBM video, Frank Yiannas notes there’s an “unspoken expectation” that food will, of course, be safe, and that when there’s a food recall, “that food product is guilty until proven innocent.” Walmart will pull all the carrots until they’ve identified which ones are affected by the recall, only then returning the ones which aren’t affected. 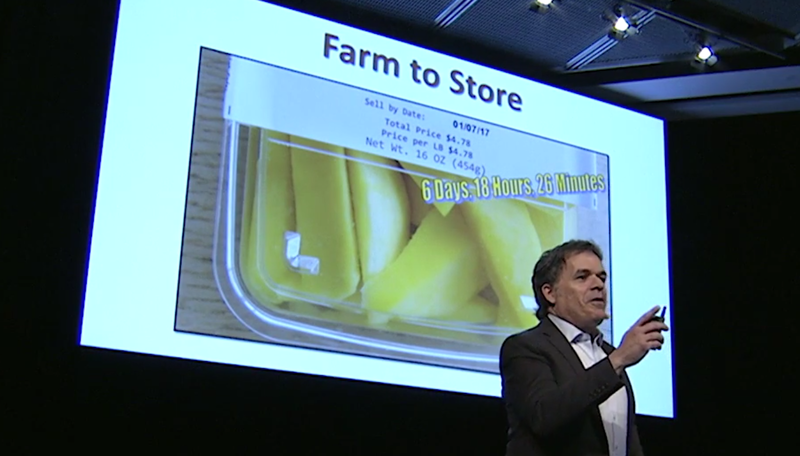 Today’s food system involves many players, each with its own way of tracking where the food has been. “Most actually do it on paper, or on systems that don’t speak to each other,” Yiannis said. Walmart began testing in 2016 with the IBM Blockchain Platform. Qwartz paid a visit to their global food safety collaboration center in Beijing, where Walmart first launched its blockchain pilot program. (“Instead of a lab filled with scientists testing meat or vegetables for toxins, it’s really just a series of meeting rooms, much like any co-working space across the Chinese capital.”) Walmart had suffered some bad press in China in 2011 — and again in 2014 — each time apparently due to an issue with their suppliers. Walmart’s process now collects and digitizes data about pork — farm inspection reports, livestock quarantine certificates — and adds it to the blockchain. “And now we really get to big data,” McDermott said. “This is what big data’s promise is. The missing link which blockchain has solved is how do we get people to share the information so that we can use the information and get the insight out of the information. In another article, Fortune notes that Yiannis has demonstrated the technique at Walmart’s annual shareholder’s meeting. This could be only the beginning. Walmart already has several blockchain-related patents, and has recently filed for two more, according to finance site Investopedia. One patent covers a system that automates both package tracking and encrypted payments to vendors for same-day deliveries — using as its example fresh produce. And the second patent covers a related courier shopping system. It’s a sign that they may be planning an ambitious response to their battle with Amazon since an earlier patent also describes a drone-ready smart package with data about its contents and delivery history. The same article notes that blockchain applications are also being explored by Target. Yiannis told Qwartz he envisions a day when packing pallets will even transmit the temperature of food cargos as they’re being shipped, with that data also stored on the blockchain for both regulators and consumers. A new AI application can write code. Celebrating the 25th anniversary of the Mosaic web browser. Machine learning researcher tries to identify which crimes are gang-related. Stack Overflow hopes to reduce “hostile” and “elitist” exchanges. Is it time to retire the acronym “RTFM” as hostile and counterproductive? A Brazilian startup uses AI to trace leaking water pipes. How particle physics resurrected Alexander Graham Bell’s voice from an 1885 wax disc. Seattle techs launch a data-driven campaign to change construction zoning laws. What the data says about “super commuters” who spend three hours a day getting to and from work.